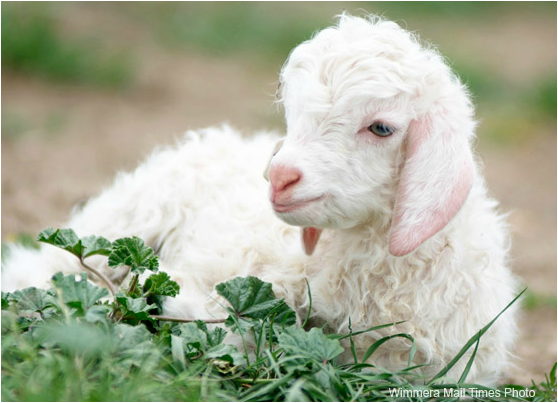 Sylvania Park offers a unique farm experience on a working Mohair goat property, 9 Kilometers from Horsham. Be accommodated in one of our 4 star, self contained homesteads. Collect fresh eggs for breakfast in the morning. Meet the friendly animals on the property and partake in a farm tour. Tours are conducted in a turn of the century restored shearing shed. Guests are introduced to our friendly goats, ‘Big Wig’ , ‘Hairy Harry’ or 'Goaty McGoatface', our goat ambassadors, and learn about the history and husbandry of these appealing animals. ​There are many activities on the farm you are welcome to be involved with including cuddling new born kids, bottle feeding lambs and kids, watch animals crutched, Tractor hay rides, bird watching, gnome roaming, kite flying, bike riding and river walking to name just a few. A short drive to the Grampians National Park where other activities await you.